I am not an impulse buyer. I stew, evaluate, and compare. Yet, somehow, I came home last week (or, more accurately, my boyfriend did… he’s the one who carried them) with a box of 15+ pounds of quince that I certainly hadn’t planned to buy. This was far from a rash decision though, I’d say the stars aligned. The price was right; these local Red Jacket Orchards quince were half the cost of what I’ve paid elsewhere this season. We were at our neighborhood greenmarket and I had my quince-carrier in tow, making in much easier to answer the city-dwellers age-old dilemma: how the heck am I going to get this home? Finally, most importantly, I adore quince. They’re an endearing mix of intoxicating floral scent and pre-historic good looks. I am the first one to dress up jams, preserves, and butters with fancy flavors, but the flavor of quince is so striking that I let it stand alone here. This recipe comes from the Lane County extension, a fantastic resource on food preservation. 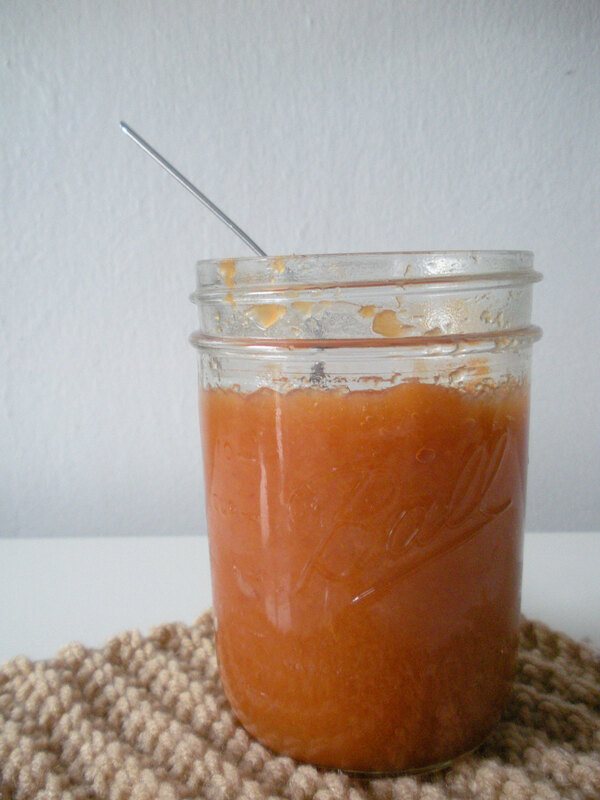 Do check out their guide to making and canning fruit butters, which I used here. I didn’t end up canning mine because I was mid-dinner preparation when it finished cooking (of course! ), but Lane County has directions on how you could put up quince butter. Wash the quince, rubbing them as you wash to remove their fur. Remove the stem and blossom ends. Core the quince and remove any gritty parts. Place them in a large pot with half as much water as fruit. Bring to a boil then reduce heat to medium and cook until the quince can be pierced easily with a fork. Run through a food mill and measure 4 cups pulp. Return to high heat and add sugar and lemon juice. Once mixture boils, reduce the heat to very low and cook until the mixture no longer weeps juice around its edges when placed on a plate or until it mounds slightly on a spoon. Julia over at What Julia Ate made a super-helpful video about cutting quince. Definitely heed what she says about removing those little white parts. Even for a butter, which typically utilizes the whole fruit, I found the fruit surrounding the core to be a bit gritty so you’ll definitely want to leave them out here. Ohhhhhhh, I can’t wait to try this one either 🙂 However, the smell so nice sitting on my counter I can’t bring myself to cut into them yet!! 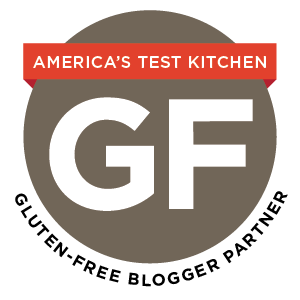 Yum, I bet that butter would be awesome in thumbprint cookies! Yossy, Thank you. Such a good idea! All your quince kitchen adventures look amazingly delicious. I love quince. My grandmother used to make quince jam and jelly every fall from her trees. 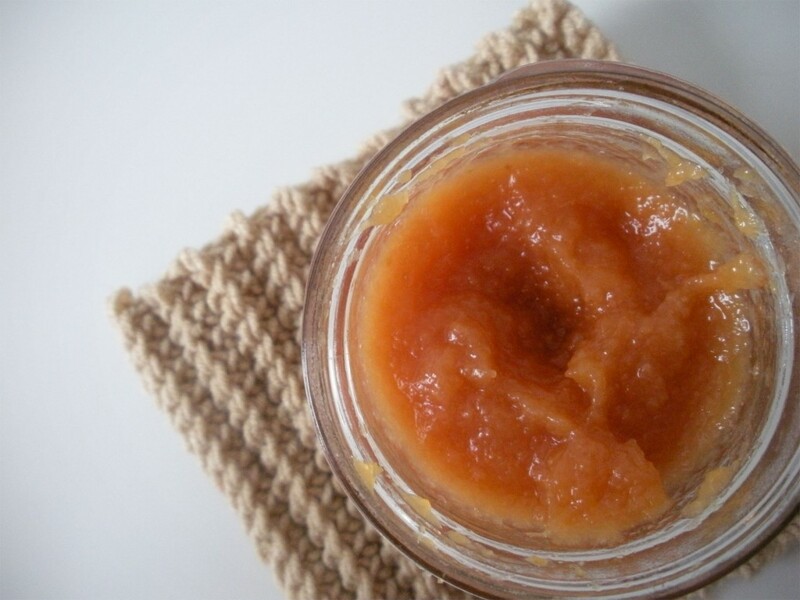 I only made jelly and jam until this year when I discovered a cookbook called Simply Quince. Have you seen it? I made Quince Salsa this week and served it to dinner guests. Everyone went wild and it’s totally gluten-free. 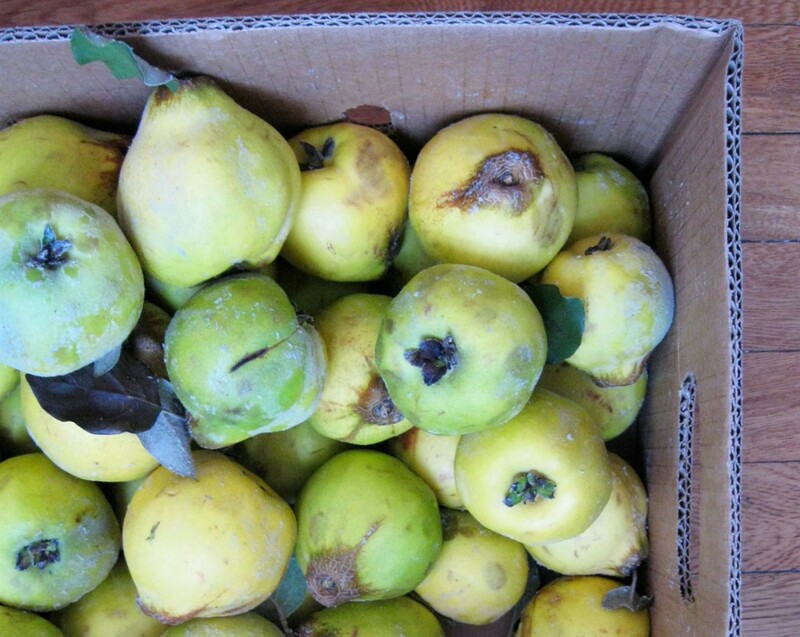 Jane, does Simple Quince have much in the way of savory vegetarian quince recipes? I had come across the book as well, but I want to make sure I’ll get enough out of it. Yum! I hear you on leaving it unadorned. The grit can be maddening, right? I’ve just learned that quince also have what is called stone cells, like pears, which are gritty cells in the flesh, so you can’t avoid having some grit. However, pulling those white bits off helps a lot. And, yes, Jane–Simply Quince sounds like a great book! I need it! Thanks, KrugtheThinker. I hope you get some quince soon! Julia, Interesting and thanks! I suspected something like this while working through my quince. I don’t completely mind it, but, for example, in my jelly pulp (which had the cores in) it was a little overwhelming. That got turned into membrillo though, so it was ok.
Mmmm, I’m smacking my lips over here at the thought of that butter! And don’t you just love the absolutely gorgeous color quince cooks into? I’m a long time maker of Quince Butter and I use the entire fruit except for the blossom end. I have an old time sieve, very heavy duty and I take the time to put the cooked quince through the sieve. True, it takes a lot of time to get all the fruit out since I don’t remove the seeds and ‘gritty parts’, but that is where the pectin is. If you want to do THIS recipe I highly recommend that, when you remove the seeds and gritty parts, you put them in water and boil them to make a pectin water broth to use for the water the recipe calls for. That way you won’t be throwing away all that fabulous pectin that is coating all those seeds and is imbedded in that grit!!!! It will make your use of her recipe version MUCH BETTER! Quince is the BEST natural source of pectin.